Sabin Holland is the lead scientist on a waste-water treatment system developed at SHSU which has both military and civilian applications. The United States Army has taken delivery of the first two units of a “revolutionary” waste-water treatment system that will clean putrid water within 24 hours and leave no toxic by-products, according to scientists at Sam Houston State University. “The system is based on a proprietary consortium of bacteria – you can find them in a common handful of dirt,” said lead scientist Sabin Holland. Holland said the physical systems themselves - called “bio-reactors” – use little energy, are transportable, scalable, simple to set-up, simple to operate, come on-line in record time and can be monitored remotely. The first two units, housed in standard 20-foot ISO shipping containers, are being deployed by the Army to Afghanistan. “The science and engineering technology behind this process have both military and civilian applications,” said Holland. “These systems would be immensely useful right now in Haiti,” Holland said. “One of the most pressing threats to public health in the aftermath of the recent earthquake is contaminated water and the lack of infrastructure to clean it up. This technology is an ideal application to mitigate that urgent need." Holland has managed the research and development of the systems and works for the Texas Research Institute for Environmental Studies at Sam Houston State. “We have gone from basic research into the bacteria to actual construction and deployment of the systems in seven years. The typical time from discovery to commercialization is 14 years,” Holland said. “The typical septic system or traditional waste treatment process can take as long as 30 days and leave 40 to 50 percent sludge,” he said. Part of the recent engineering and component testing were done in partnership with Lamar University and Sul Ross University, Sam Houston State’s sister institutions within the Texas State University System. The research has been funded over the last three years by U.S. Department of Defense. The Army’s systems will be deployed in rugged terrain and transported by the Army’s standard heavy trucks using a standard pallet loading system. 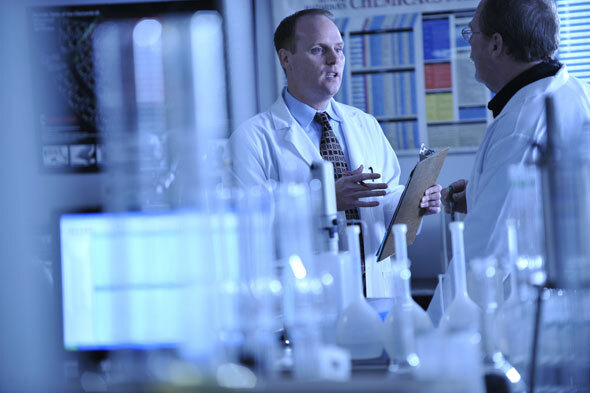 After an extended search for a business partner, Sam Houston State selected a private firm, PCD Inc, of Palestine, Texas, to form a limited liability corporation company named Active Water Sciences (AWS), to market, manufacture, sell and further develop the systems. The university owns an interest in the corporation and has licensed the technology to AWS. Sam Houston State University received three patents to protect the technology and engineering associated with a system and has three more patent applications pending.